^^^ I was just this afternoon listening to 72 Karajan studio recording with Vickers & Dernesch which has much to admire, but in the act two love scence they did not have the same chemistry, harmony and timing of Suthaus & Flagstadt, almost like the other person wasn't there and they were just singing the notes, not the same level of artistic interplay......yes Suthaus stands tall among Tristans. Last edited by DarkAngel; Dec-04-2017 at 04:02. 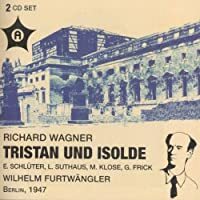 If the Furtwangler studio Tristan had come five years earlier, with Suthaus and Flagstad in fresher voice, it would be unambiguously the finest recording of the opera (which, of course, many feel that it nevertheless is). We might even have had Melchior as Tristan - but then, he was still in fine voice even in 1952, and EMI could have paired him with Flagstad. I'm under the impression that Furtwangler didn't want to work with him. Does anyone have information on that? Last edited by Woodduck; Dec-04-2017 at 20:30. 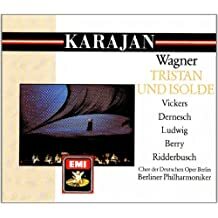 The two problems I find with the love duet on the Karajan recording, despite its sensuous beauty, are the rather self-conscious dynamic exaggerations and the oddly weak Isolde of Helga Dernesch. These two factors come together in her soft singing, which sounds tremulous and tentative; at times it's almost as if she's afraid to sing, and so any real expressivity is ruled out. One thing Isolde never is is tentative! I hear what you're getting at in the clip. My reaction upon first hearing Dernesch's Isolde was slightly different: it struck me she somehow turned every vocal phrase, no matter its character, into a lament. A knowledgeable CD-store acquaintance agreed, referring to "a frown in the voice." Yes indeed. There is always something almost tearful in her timbre that makes everything she sings sound sad. 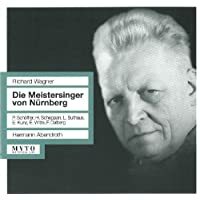 It makes her Isolde rather one-dimensionally pathetic and vulnerable (which I realize some may like), and it mars her Elisabeth in the Solti Tannhauser, where her "Dich teure Halle" and duet with the hero just can't take wing joyfully as they should. Add to that her forced, squealy top, and I just can't enjoy her much as a soprano. I gather she started as a mezzo and ended that way. Last edited by Barbebleu; Dec-04-2017 at 22:16. Last edited by DarkAngel; Dec-04-2017 at 22:35. 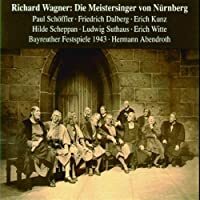 We might even have had Melchior as Tristan - but then, he was still in fine voice even in 1952, and EMI could have paired him with Flagstad. I'm under the impression that Furtwangler didn't want to work with him. Does anyone have information on that? Melchior was notoriously averse to rehearsal, and since he never sang an uncut performance of Tristan in his entire career, I doubt that he could have been convinced to the learn the necessary additional music. He once went to sleep on stage after his 'death' and Flagstad had to kick him as he was snoring during the final scene! Wie sein Nasenloch er öffnet. wie ein Schwein sein Atem sich grunzet? I think that's an occupational hazard of any performer doing the same limited repertoire for decades. Last edited by amfortas; Dec-05-2017 at 17:51. He would have happily sung Otello and Pagliacci, among other things, but the Met management typecast him. Evenings with him and Flagstad were the house's biggest box office draw. All times are GMT +1. The current date and time is Apr-25-2019 11:10.